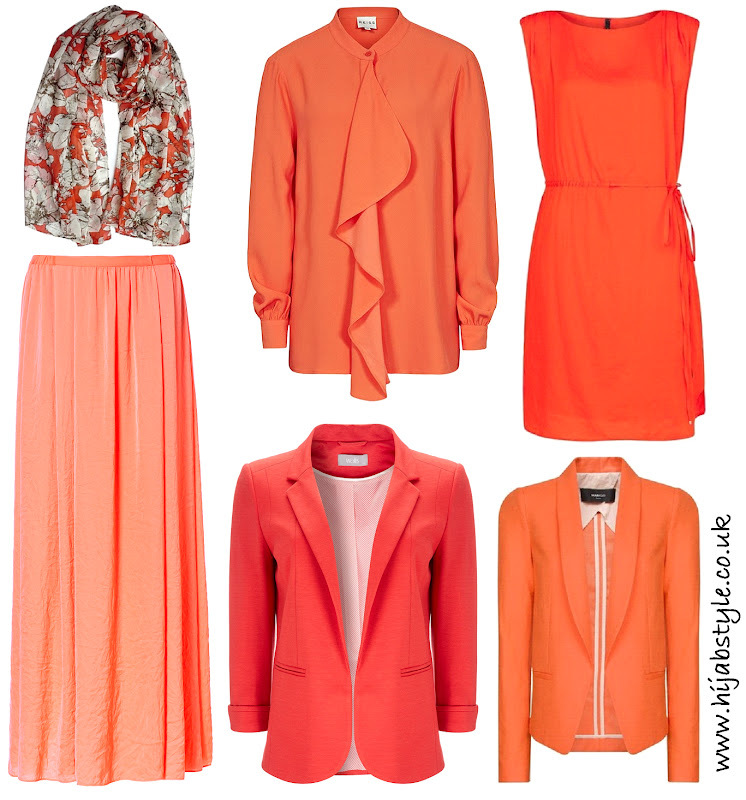 It's not often I see people wearing orange, but this colour has literally been popping up everywhere in stores. Here are some of my picks from long sleeve blouses to bright blazers, or even try a printed scarf. Keep an eye out for styling ideas coming up tomorrow! Cream Flowers Hijab £8, Hijab Jewels; Arras shirt £85, Reiss; Drawstring draped shoulders dress £34.99, Mango; Long silk satin skirt £29.99, Zara; Orange jacket £30, Wallis; Linen cotton-blend tuxedo blazer £47.99, Mango. Ornage looks great on tanned/asian/black skin :). Its gorgeous. Even yellow is nice.